New Life Is Strange: Before the Storm. In addition to the developer, there are other significant changes. For example, instead of five episodes, as in the first part, now there are only three. A character named Chloe spoke in a different voice. She was previously voiced by Ashley Birch, who in this case decided to devote herself to the script. However, Ashley promised to ensure that the actress, who gave her voice to the heroine, adhered to the framework of the image. 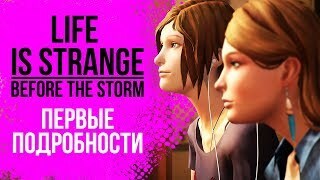 In translation, the new game sounds like this: "Life is a strange thing: Before the storm." This means that the authors send us three years before the beginning of the main story. It was at that time that Chloe Price met and then became friends with Rachel Amber. Starting to play the game Life Is Strange: Before the Storm, you will be dragged into the maelstrom of complex characters. Adolescent girls are always difficult to survive a period of maturation, and it seems to them that everything is too difficult, ambiguous, contradictory. They are looking for support from friends, and the only way they manage to overcome every day the reality that has befallen them. When Rachel unexpectedly found out that her family has long been keeping a terrible secret, this radically turned her life around. Heavy thoughts, blows of fate, troubles of a different level can undermine the faith in good and humanity of anyone. Especially hard to resist them young people. Only friendship with Chloe helps the girl cope with the situation, although she herself had to endure a lot of tragedies, like the death of her father, the loss of her best friend and many other events. All this can not be contained in one soul and not to break. In order and there are friends in order to support each other as much as possible, substituting at the same time a fragile but reliable shoulder. Download Life Is Strange: Before the Storm can be from September 2017. As the authors of the project told, this game affects the social aspects of the life of each of us. There are moments of death, loss and suffering, but the negative is offset by manifestations of sincere friendship, love and affection. The gameplay is built on bright emotions, and therefore does not leave indifferent. Chloe appears before us as a rather sharp and determined girl. In order to convince someone to act in a certain way, she resorts to the power of arguments, sometimes seasoning her speech with a sharp little word. You can see this soon by starting to play Life Is Strange: Before the Storm. As in the first part, there are quests with the implementation of various tasks and puzzles. And by participating in the dialogue, it is possible to choose options for response replicas. Thus, you develop alternative realities by firing events along one of the possible paths. 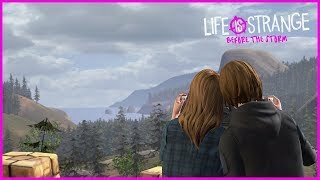 B Life Is Strange: Before the Storm provides a bonus game episode "Farewell". In it, the last time players will be allowed to act on behalf of the heroine, Max Caulfield. Those who have not played in the first part will be interested to know that this is Chloe's girlfriend, with whom she was familiar even before meeting Rachel Amber. Max had a talent for managing time, but wanting to correct the misfortunes of the past, she almost hurt the present and the future.